Torbjörn Åhman vous montre comment faire une forge simplement! I get a lot of questions about how to start blacksmithing, how to get tools and equipment etc. 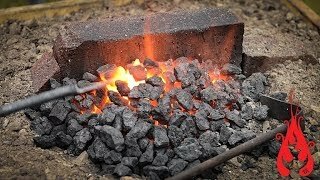 I wanted to make this video to show people that are interested in trying this craft, that you don’t have to weld or fabricate a simple forge. It’s much easier than that! My video is not a tutorial, instead I hope it can spark interest and contribute to some inspiration.